Yes. I Know. it’s been ages… how can I explain. Life gets in the way sometimes… (You got me, Ive been busy taking too many photos of my cat.. and finding a job eventually). Since I have moved from England, life changed quite a bit as I explained in my last post before disappearing for WAY too long. I came to realize that blogging about eye shadows or a lip balm is just not my thing. I mean, I read bloggers almost on a daily basis that do it- oh so well- but i can’t spend three hours focusing on the texture of a lip balms.. I get bored really quickly. 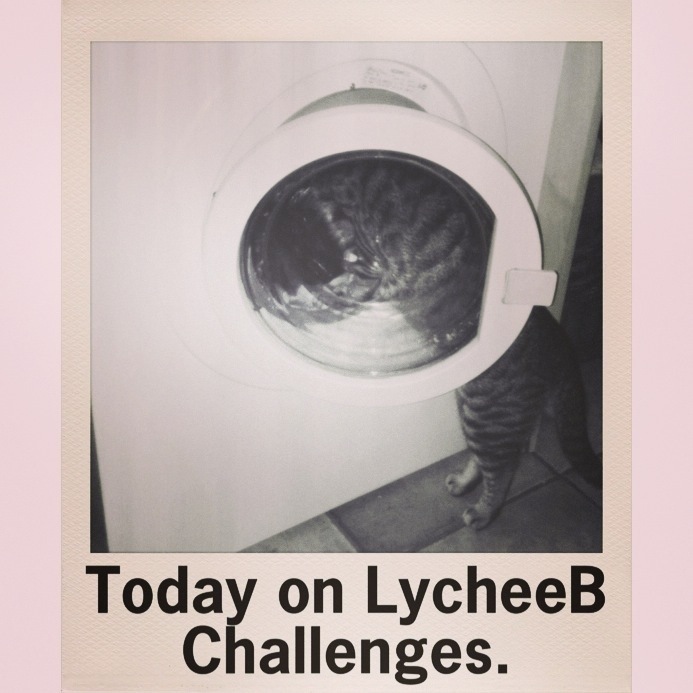 Well because LycheeB is a website that I actually like and to be honest I wanted to post… but I didn’t find the right thing to post about. Until toniiiight.. drum drums. I took a photo of my cat the other day (Oh that is sooo interesting you may think..). My cat is the most curious food centered being I have ever met. that brings me to my own life and how after living in a foreign country for three years and discovering the customs in place in the latter, well I am not really challenged at home. I spend 10 hours a day in a office, checking papers and documents that matter a lot to my boss, and his boss for sure. I get home and I go to sleep almost right away.. well if you think it sounds boring, I can tell you it is. Thats why when I saw the pic of my cat looking for something in the drying machine, I just got jealous of its ability of discovering and observing something new every time. I then decided it was time to switch things up. I am only 23 damn it… I cant afford to be a grand mother just yet. A few things need to be switched and you lovely people of the internet will surely be updated on those as they happen. Previous PostPrevious A new chapter and some beauty favourites.